ORGANIZE / Charge any 4 portable media devices including phones, all at the same time, in one location. CHARGE / SCD (Smart Current Detection) adjusts the current flow to ensure proper charging to each device. PLAY / Display and listen to one device on Dok's sound system while charging. UNIVERSAL / Compatible with any smart device. SPEAKER SYSTEM / Plays a device through its speaker while charging. 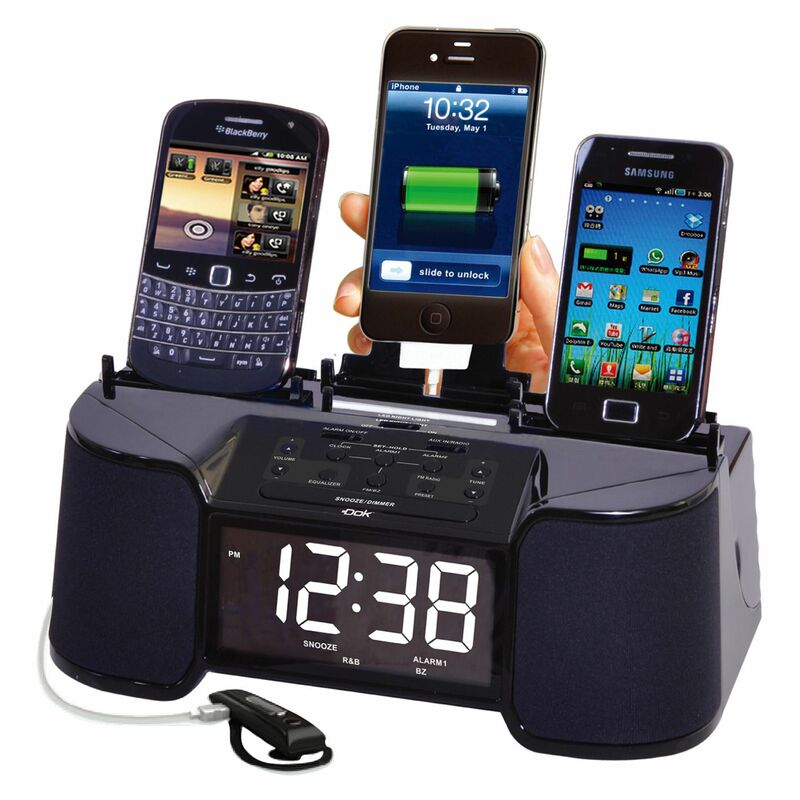 CLOCK RADIO / Wake up to FM stereo alarm clock radio. Net Weight 7.55 kgs 16.69 Lbs. Net Weight 1.5 kgs 3.32 Lbs. This product may be covered by one or more U.S. patents or pending patent applications. Click here for details.